Sometimes Karma works on a very short cycle. Some backstory: One of the trainers I know asked me to train him once a week, and write a workout for the rest of the week. I took him up on the request - even (or perhaps especially) as a trainer, offloading your workouts to an outside expert can help. So I wrote his workout within the parameters of his goals and times, and set him going. Day one was an upper body workout . . . and when we reached the last exercise he glanced at the sheet and say, "Oh (expletive deleted)!" It was one set of 100 curls, for time. Get 100 total reps at a given (fairly light) weight, in minimum time. Next two weeks, try to beat that time each week. It's a variation of the 100-rep sets I've used successfully in the past. He'd seen me doing them but never did them himself, so I knew this was going to be a novel challenge for his body. He was game, though, and did them. Two days later I went to my own trainer, Mike, for my own training. I'd just finished all the usual stuff, plus a few extras we've finally worked up to. It was close to the end of my training window, and I was pretty sure I was done. I went to Mike and said, "What's next?" "Stretch! 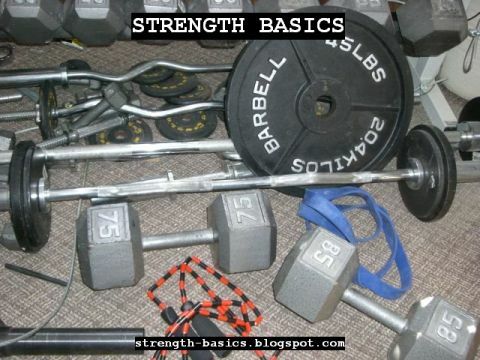 No, wait, first grab the green band and get 100 band curls and 100 band pushdowns." That's a fairly short cycle. Evil returns twofold, doesn't it? I did the curls - and having made someone else do them two days before I enjoyed them more than I might have otherwise and I cranked through the reps. I'm just glad I didn't give him 200 curls . . .